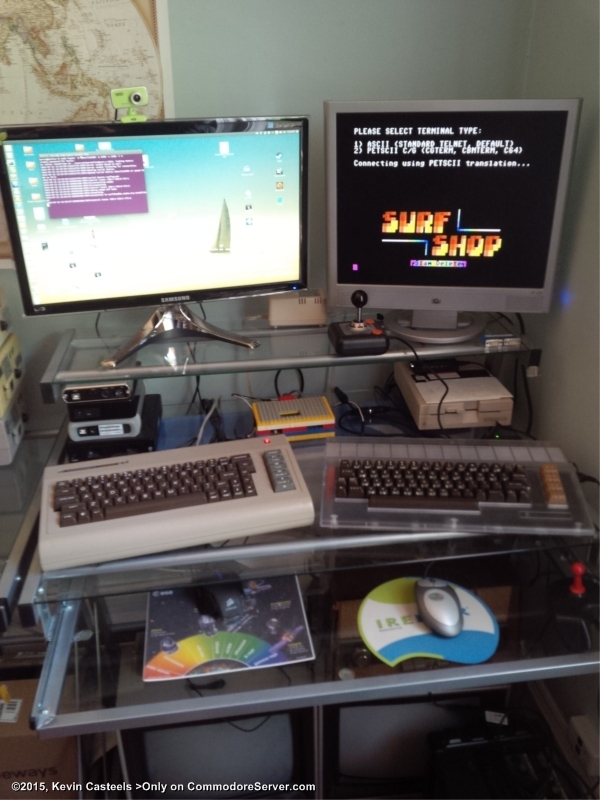 Transparent C64 Reloaded connected to a C64x Extreme via Strikelink. oooo sounds like you had a rough time with Berry and your c64x! Mine has been problem free and I don't think it was that bad a deal actually, at least not for the specs the Extreme model had at the time. It was comparable to other similar computers at the time, plus I got the free shipping option so it helped. I played around with the fans a bit. It originally had 3 fans, 1 cpu plus one pulling in air through the card reader and another venting out the back. I ended up removing the one pulling in air and it actually seems to be better now.. I also tweaked the bois config to only spin up the fans when the cpu goes above 75C . its been like that for years now with no problems and it mostly runs silent. After hearing your story I can understand why some people had problems with CUSA, but my experience was positive. And no jiffydos chip. I use a 1541u2 for to flash in the Jiffydos rom. And I put in for some keys from the Indegogo campaign already... Not sure if I'll change the keys on this c64, I really like the vic20 keyboard in it and it's in mint condition already. I got a C64x Extreme, so it came with an Intel i7, 8gb ram and a 3 TB hard-drive. I put the 3 TB drive in an external case connected with eSATA (so it's just like an internal drive) and installed two SSD drives for OS and system files. Ubuntu 14.04 boots in 3 seconds and Windows 8 takes 2 seconds. It's a nice and fast! My only complaint is the cpu fan on the i7. It's noisy and I turn the temp threshold way up on it so it doesn't give me a headache. I should really replace it. Overall it's been a solid machine and I'm happy with it. What does your c64x have in it? The transparent case was a kickstarter campaign by Dallas Moore. He found the original c64c molds. Your only bet now would be to find one on ebay... Apparently there will be another run of transparent cases but no word yet for when. Not often I find a fellow C64X owner! What kind of mobo is inside it? Is it still the terrible commodore installed atom board? RE: The transparent c64, looks great, did you get the essential JiffyDos chip for it? Also did you know an Indegogo project is taking pre-orders for custom coloured key-caps for commodore 64s? Maybe you can point me in the right direction to buy a case like yours? Very nice! I had to do a double-take on that C64x but soon realized it was just that.